Monika Estrella Negra’s short film Flesh is a chaotic fever dream and I really dug it’s rough edges and punk aesthetic. 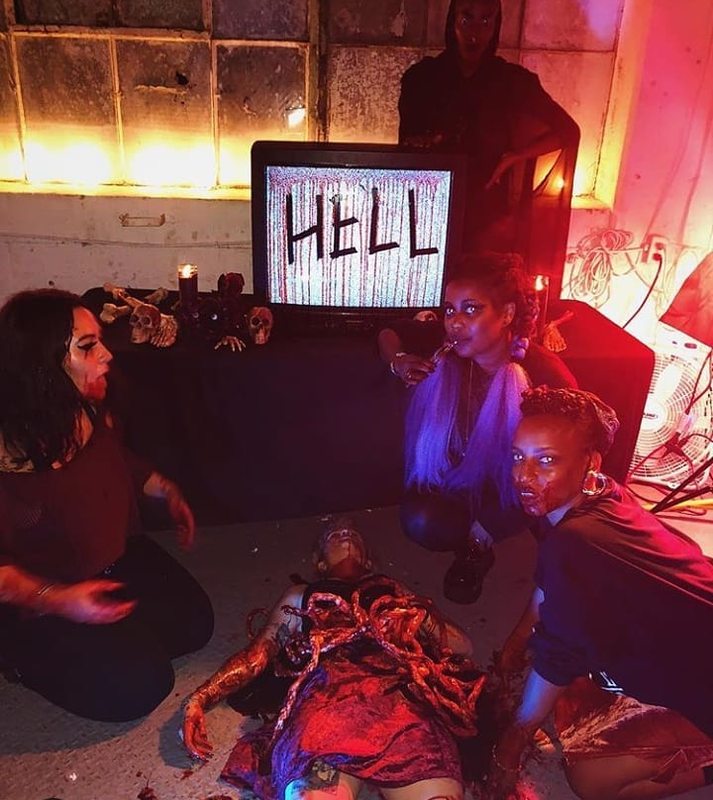 In the interview below, Negra talks about her experience with making short films and how she pushes for better representation through her production company, Audre’s Revenge. I am equally attracted to both short and feature films. Shorts are the most economical choice for me, however. I personally see no difference in them as shorts can contain just as much energy and story as a full feature. It all depends on the story being told. I also think of shorts has being a “one off” of significant moments in our life that don’t necessarily warrant a two hour display. Some things are meant to be short and sweet…or bitter. Yes. As I mentioned in the previous answer, short films can leave the viewer just as satisfied with its resolution. If the character is relatable to the viewer, I feel that the connection will be imminent. Features probably give the viewer a bit more context to become connected with the individual, but it also depends on the authorship and how believable the story is. You can have a glorious feature visually, but the story is what brings people to the forefront of what it’s like to be in that world. It is far easier to make a short film on a budget of less than $12,000 than to make a feature. Some short films have been made for far less! In this technological age, it is so easy to pick up a cell phone, tablet or digital camera and tell a story. I think having access to these methods will create multiple film genres and niches for generations. There are so many stories that can be told. We just need to make sure that the story can be created and shared with the masses. I would like to think that I focus on the queer Black woman’s experience because that it is who I am. However, I would definitely limit myself as a writer if I chose to only convey those stories. I would love to write other types of characters, whether they be non-binary, cis male, etc. I would prefer to co-write these stories with people who are the character being described so as to not step over any identity boundaries or risk appropriation. I think it’s a matter of respect to do this, instead of coming to assumptions as to what it is like to be an ‘other’. I think that is a major disconnect between the audience and the director in my opinion. A prime example of this would be Green Book (laughs). It’s just a big no-no. I feel that with Audre’s Revenge, we are able to control the quality of our content and the people we collaborate with on projects. We are very clear about our politics and how it affects every shoot that we create. We definitely try our hardest to find marginalized folks with an interest in DIY film making, therefore making it a bit safer and comfortable to work. Of course, accountability and transparency are still needed because of social hierarchies (even within marginalized communities), but that is a social practice that should become the norm when creating: becoming aware of what it means to create art that is ethically practical and revolutionary. Don’t think too hard about it. Write the script, find some friends and get it done. Nothing will ever work out perfectly – but a good team and a good idea will take you far.